Several months back I came across an interesting YouTube channel on home organization – Alejandra’s Home Organization Tips. You can check her out here http://youtu.be/EoC83JhkCAw . 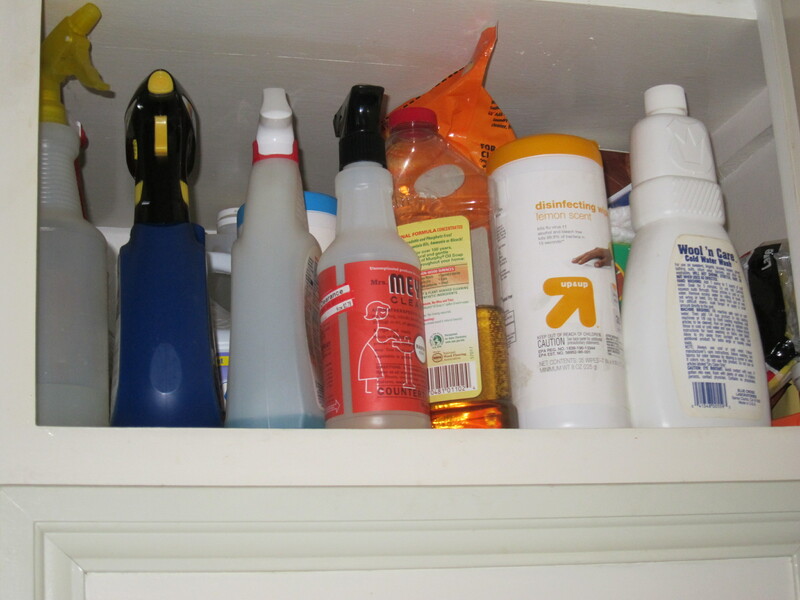 I must say I have learned quite a bit on how to declutter my home and pretty much clear out the junk that was taking up precious space in my kitchen, linen closet, bathroom, pantry, etc… I’ve also learned how to organize items in a way that makes it easy to find. 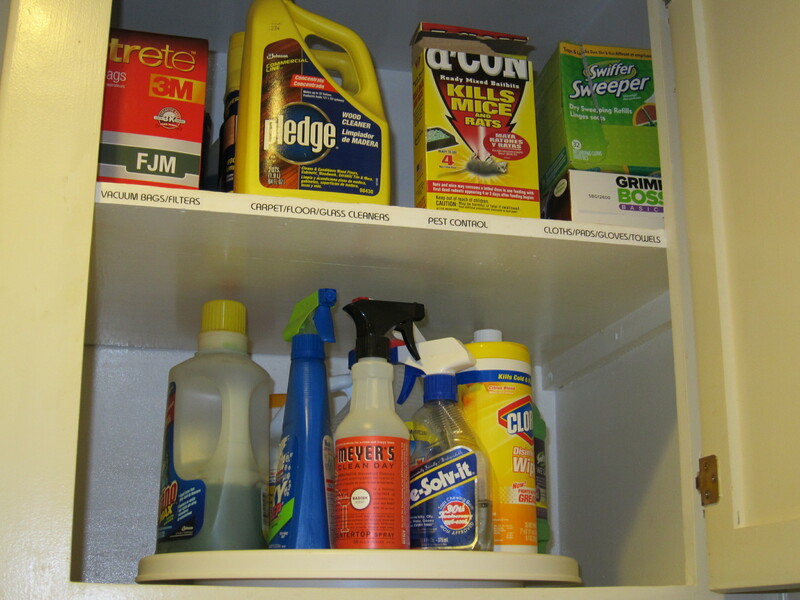 Below is a before and after picture of the cupboard above my pantry where I store all my cleaning supplies. As you can see a lazy susan (rotating turntable) can be used for storing and organizing just about anything. I even have one in my refrigerator if you can believe it.